an architecture: Lovely Letter (2). 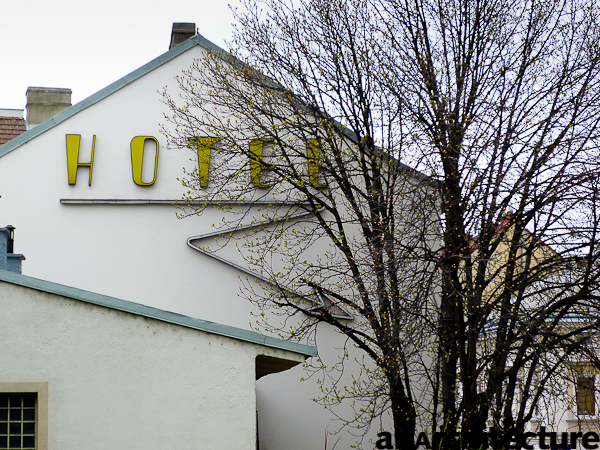 Hotel sign + arrow - seen in Vienna at Graumanngasse (see google maps link). But watch out, the hotel Bauer is a place where guests pay per hour..